Indian Navy Admit Card 2019: Below are the admit cards published by Indian Navy - Indian Navy / icnetrecruit.in. The recent Admit Card issued for the recruitment drive is Tradesman Admit Card 2019. 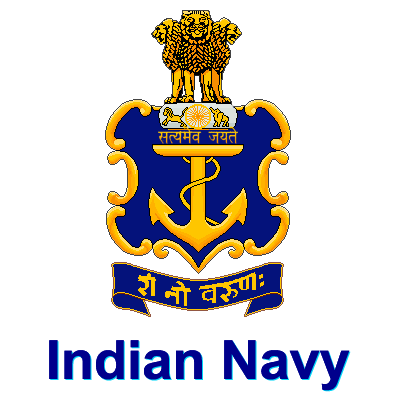 Indian Navy Tradesman Admit Card 2019: Indian Navy has issued the Admit Card on 02 Apr 2019 for Indian Navy Tradesman Exam 2019 which is scheduled to be held on 14 Apr 2019. Indian Navy SSR, AA, MR Phase II Admit Card 2019: Indian Navy has issued the Admit Card on 21 Mar 2019 for the exam. Indian Navy SSR, AA, MR Admit Card 2019: Indian Navy has issued the Admit Card on 15 Feb 2019 for the exam. Naval Dockyard Mumbai Apprentice Admit Card 2019: Naval Dockyard Mumbai has issued the Admit Card on 14 Feb 2019 for Naval Dockyard Mumbai Apprentice Exam 2019. Indian Navy MTS, Chargeman Admit Card 2018: Indian Navy has issued the Admit Card on 02 Oct 2018 for the exam which is scheduled to be held on 23 Oct 2018. Naval Dockyard Mumbai Fireman Admit Card 2018: Naval Dockyard Mumbai has issued the Admit Card on 30 Aug 2018 for Fireman Examination 2018 which is scheduled to be held on 09 Sep 2018. Indian Navy AA Admit Card 2018: Indian Navy has issued the Admit Card on 02 Aug 2018 for the exam. Indian Navy MR Admit Card 2018: Indian Navy has issued the Admit Card on 22 Feb 2018 for the exam. Indian Navy AA SSR Admit Card 2018: Indian Navy has issued the Admit Card on 12 Feb 2018 for the exam.